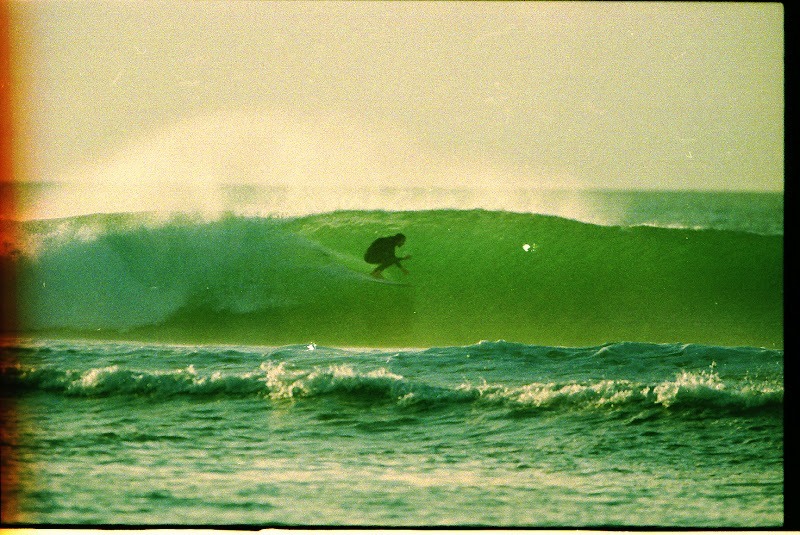 As luck would have it, the day the first Fast Back was finished coincided with the arrival of a fresh swell so a test ride was in order. 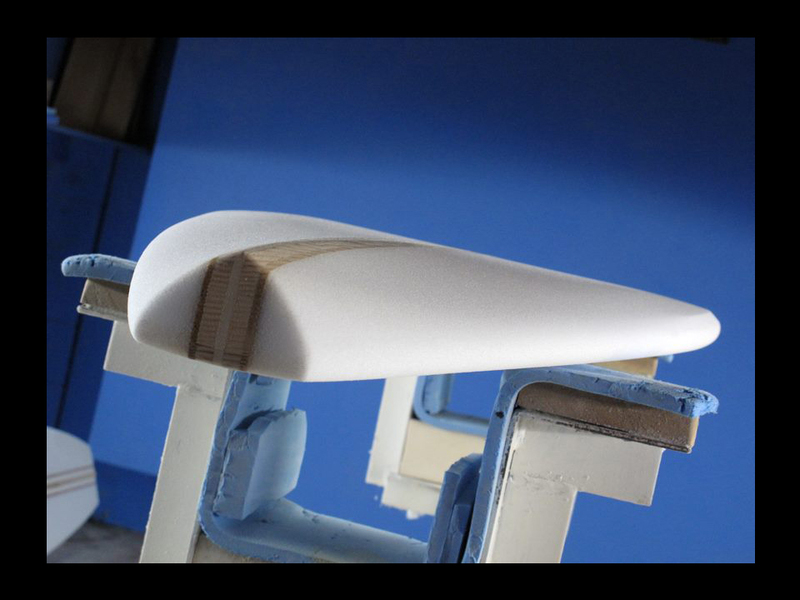 The narrower, deeper tail made the board lock in nicely in turns, overall there was more control which meant the new design was even easier to ride than the Mid had been. Yes! Another step in the right direction. The next morning saw a change in the swell angle with a corresponding increase in magnitude. The line-up was empty with the exception of me on that brand new Fast Back! The left was doing it with steep takeoffs and fast peeling walls. 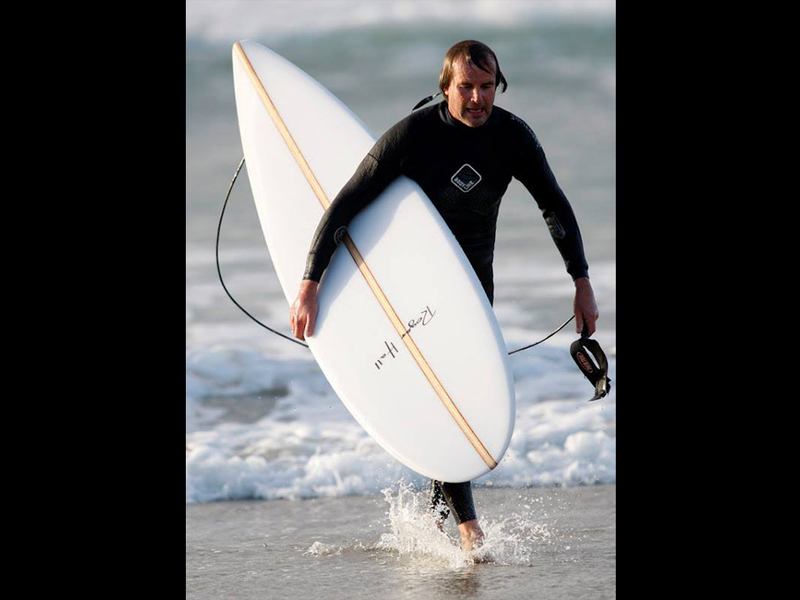 The surf was pumping and there I was hurtling myself over the edge on an experimental board minus any fins. Once I figured out that the board could hang in on the drop the next challenge was to pull off a quick bottom turn and drive up into the pocket where I was sure the board would lock in and go. All I had to do was get there; “Pop up forward Roger” I screamed as I paddled into a bomb, this time I survived the drop and drove off the bottom aiming high at the lip that was hurtling over. The board locked in and sat tight, out of the corner of my eye I could see the frantic figure of Michael Cunningham rummaging through his camera bag. We had planned an early morning photo shoot to capture the action. 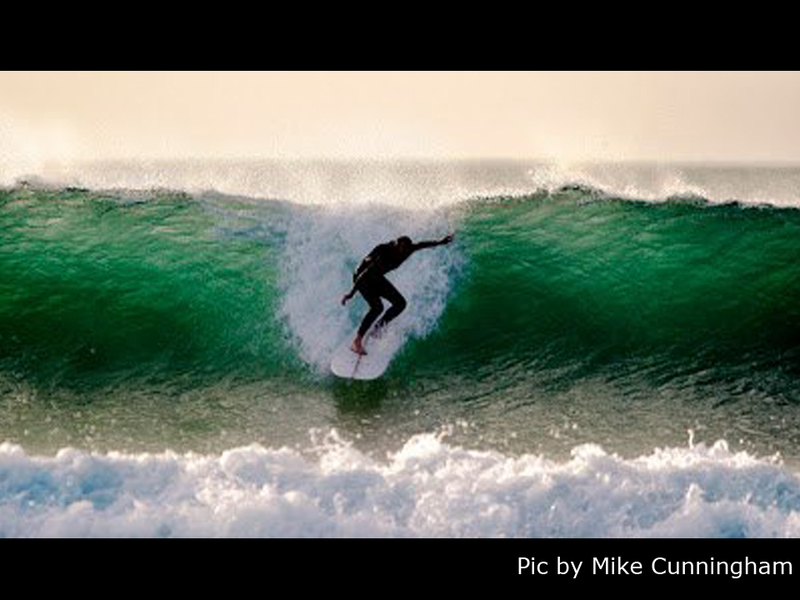 There I was shacked on a board with no fin, I emerged, kicked out over the back of the wave and headed out for another one. I saw Mike running back and forth from the beach and up the stairs to his car. Another wave, more tube time, more frantic movement from the beach. I rode another long peeler, kicked out and headed for the takeoff spot, by now Mike was in position behind his lens and hopefully ready to go click! Long story short the Fast Back had impressed that morning and I was in my happy place, things were looking up. If you look at the moody film images that Mike captured that day and try to imagine what I was feeling through the soles of my feet, how the board was able to lock in and go and the exhilaration that came with it: Phew! I was stoked. 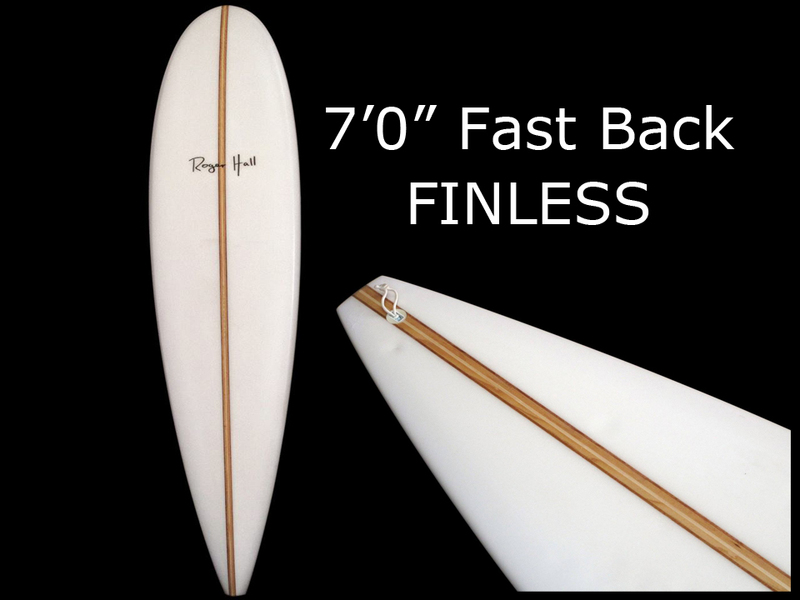 The fact that the board held so solidly in the pocket had my mind wandering to longer length boards and my goal of a finless noseride. 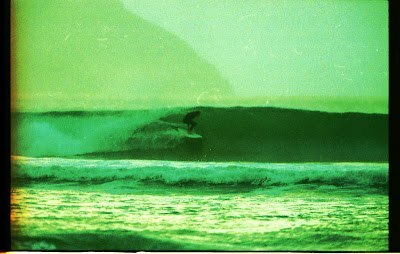 Later that day I surfed the 7’0” Fast Back again on a fuller tide and ticked the Cheater Five box. The design door to a full length Longboard version of the Fast back was well and truly open and so was my lap top. Up scaling the success of the 7’0” to a 9’0” version was relatively simple in Shape 3D, what would prove harder was how to fit the board I had designed into a blank. As it so happens I couldn’t and so began another chapter that saw me adding timber into the mix to achieve something I could shape the board from. I had featured wood quite heavily in my all time favourite finned quiver due to the feel of ride and the visual appeal of the colours and grains that wood has to offer so here was a way to combine what I had learned and enjoyed with the design path of my Hot Curl shapes. . . standby for My Hot Curl Story Part Four: The Hot Curl Fast Back Nose Rider.